The 2019 Annual General Meeting (AGM) for Panthers Rugby League Club Ltd (PRLC), as well as the Panthers District Rugby League Football Club Ltd (PDRLFC) will be held on Thursday 21 March 2019. Both AGMs will occur at Panthers Penrith, within the Ron Mulock AO Room, 123 Mulgoa Road, Penrith, NSW. 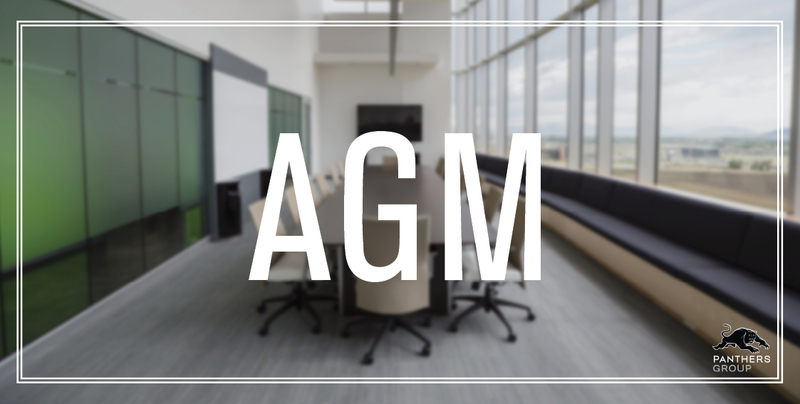 – The PRLC AGM will commence at 6pm. – The PDRLFC AGM will commence at 6.30pm. To obtain minutes from either of these meetings, please Email Us.